Garudeshwar Shivling is worshipped in Kashi and was installed by Garuda, the vehicle of Bhagvan Vishnu. 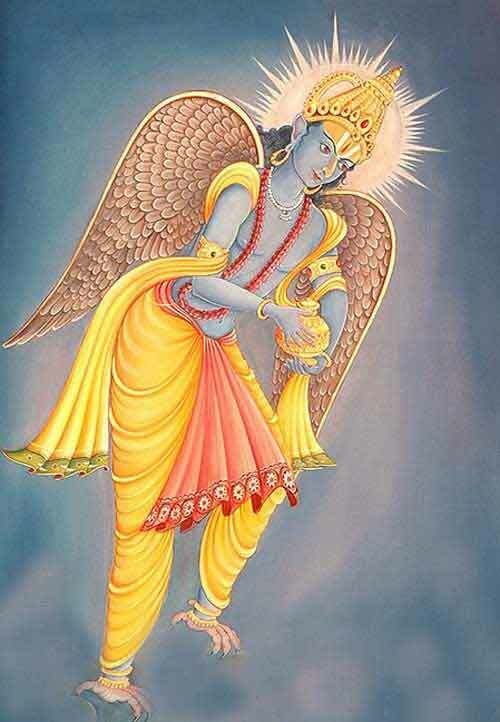 Garuda and his mother Vinita were enslaved by Kadru and her naga sons. But Garuda rescued his mother from slavery after a tough struggle. Story of Shiva as Garudeshwar is found in Skanda Purana. Later Vinita told Garuda that she might have performed some bad deed in her past life to suffer the life of a slave. To get redemption from sins of past life, she wished to visit Kashi and offer prayers to Shiva. Garuda took his mother to Kashi and there installed a Shivling and performed intense austerities. Pleased with devotion of Garuda, Shiva appeared before him and told him that his mother had got redemption. Shiva also told that Garuda, the dutiful son, will become the vehicle of Bhagavan Vishnu in future. Shiva then blessed Garuda that the Shivling he installed will be known as Garudeshwar and those who worship it will be blessed with knowledge to attain self realization. Why Vinita and Garuda were made salves by Kadruand Nagas?